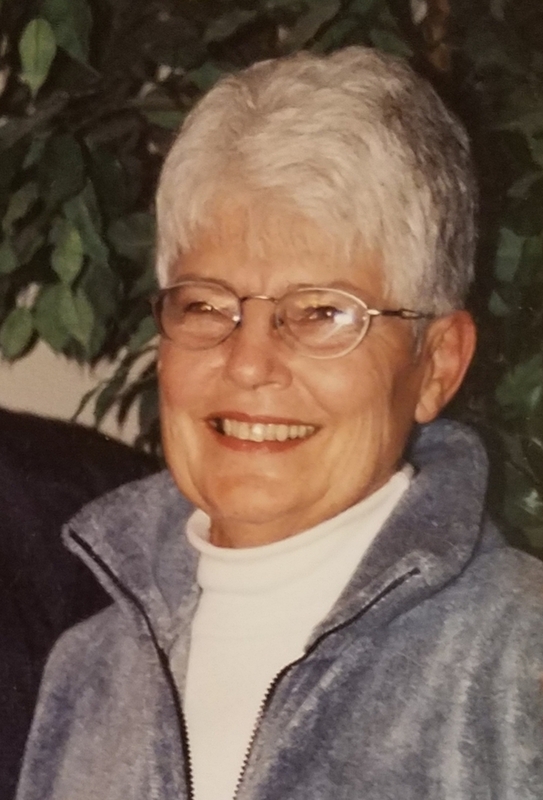 Dorothy M. Thompson, age 82, of Sioux Falls, SD went home to be with the Lord on Monday, November 12, 2018. Dorothy was born on July 27, 1936 to Ed and Laverna Heil of Hancock MN. She graduated from Hancock High School where she had been homecoming queen. You would often find Dorothy working behind the candy counter at the local drug store, and on her 21st birthday she married Dennis, her high school sweetheart. The couple soon became known simply as “Dorothy and Dennis” to some, and “Dot and Denny” to others. They lived in Regan, North Dakota before making Sioux Falls their permanent home in 1960. The two were lifelong companions and enjoyed many activities together. They loved playing cards with family and friends, golfing, walking, and spending summers at the lake fishing in northern Minnesota. In 2017 they celebrated 60 years of marriage before Dennis’ passing in May of 2018. Dorothy was a loyal employee working at Kmart for decades. She enjoyed bowling, crocheting, playing bridge, mahjong, baking, and chocolate. There was always a pan of cinnamon rolls, cookies, or her infamous coffee cake ready and waiting for anyone who stopped by for a visit. In July of 2018 Dorothy moved to Bee Hive Homes a memory care facility in Excelsior, MN to be closer to family, and it is there she passed peacefully. Preceded in death by her devoted husband, parents, brothers Robert, Howard, Kenneth, and Lloyd. 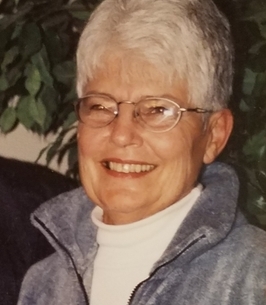 Those left to cherish her memory include her son Scott (Ashley Pickering), daughter Shelley (Mark Kasperek); grandchildren, Gage and Julia Thompson, Katie, Kyle and Cortney Kasperek; brother Chuck, sisters Margaret (Tom Wolhowe), and Vicki (Randy Hodapp), extended family and many wonderful friends. A memorial celebration of Dorothy’s life will be held Monday, December 17, 11:00 AM at Huber Funeral Home 16394 Glory Lane, Eden Prairie, MN. Visitation one-hour prior. Following a light lunch, a graveside service will be held at Fort Snelling National Cemetery. In lieu of flowers, memorials preferred to St. John American Lutheran Church 1912 W. 13th Street, Sioux Falls, SD 57104 or to donor’s favorite charity.